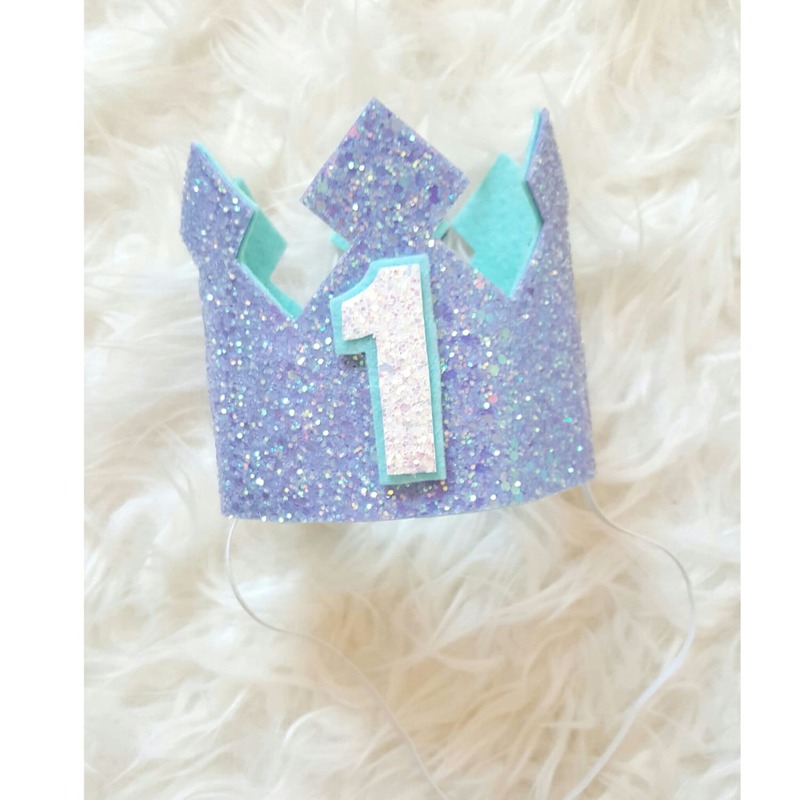 First Birthday Glittery Pastel lilac Glitter Material lined with aqua felt with a lilac elastic headband. Pastel ab and aqua felt number one added to the front. Quick shipping and was exactly what I was looking for! Great seller to work with!